"They want us to pay for our own raisins that we grew," says Marvin Horne, an organic raisin farmer and owner of Raisin Valley Farms. "We have to buy them back!" This is but one absurdity that Marvin and his wife Laura have faced during their decade-long legal battle with the United States Department of Agriculture (USDA), whose regulations tend to favor large, corporate agricultural packers at the expense of small, family-owned farms. Every year, the Hornes plant seeds, tie vines, harvest fruit, and place grapes in paper trays to create sun-dried raisins. And every year, the federal government prevents them from bringing their full harvest to market. Frustrated and desperate, the Hornes started packing and selling their own raisins, which they believed would allow them to circumvent the marketing order. In doing so, they inadvertently sparked a small revolution, as other independent raisin farmers saw their initial success and began to pack and sell, too. The government wasn't happy, and neither was the major raisin cooperative Sun-Maid, which wrote a brief in support of the government's case in a classic case of the big guys squeezing out the small farmer. 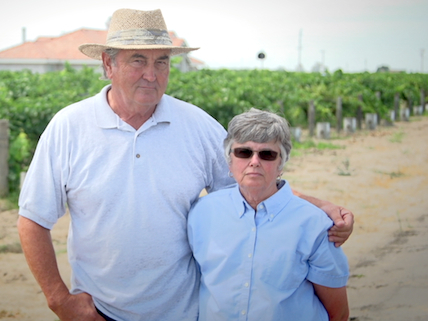 When the Hornes and a few other raisin farmers tried to challenge the USDA's seizure of their crop without payment as an unconstitutional taking of property in violation of the Fifth Amendment, the government balked and said that the issue should be heard in a Federal Claims court, as the case had nothing to do with the taking of property but instead was a matter of the Hornes violating farming regulations and being fined for doing so. The 9th Circuit Court of Appeals agreed with the USDA and declared that they had no jurisdiction in the case. Luckily for the Hornes, however, the Supreme Court took the case and ruled, in a 9-0 decision, that the 9th Circuit was mistaken and must consider the case on its constitutional merits. And now, after nearly a decade of fighting, the Hornes must wait a little longer. This saga may well end in 9th Circuit Court of Appeals in the next few months, or the Hornes may one day soon find themselves before the Supreme Court once again. A favorable legal outcome is far from certain, but the Horne's raisins--and the rights of small, independent farmers everywhere--depend on it.